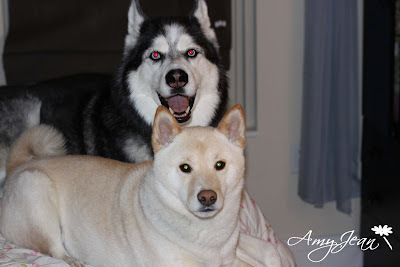 Have you seen my Kota (He's the white shiba in the front - Juneau is our handsome husky in the background)? I think your Kota is MUCH cuter! your dogs are absolutely gorgeous!